Join our team and experience a rewarding and challenging work environment with skilled and supportive teammates. We are currently accepting resumes from organized and team-oriented individuals who are looking for a career as an Apprentice Heavy Equipment Technician at our shop in Edmonton, AB. An Apprentice HET will assist to provide efficient and quality service, repairs, adjustments and maintenance of light and heavy duty trucks as assigned by the Shop Foreman. Obtaining work orders from Shop Foreman and review them to ensure understanding. Interpreting work orders and technical manuals. Diagnose the source of any faults and malfunctions and perform repairs. Performing work as noted on work order and repair or replace defective parts, components, or systems with accuracy and efficiency. Examining vehicles to determine if additional safety or service work is needed. Testing repaired vehicles for proper performance to ensure that completed work meets manufacturer’s specifications and legislated regulations. Completing detailed written report for the completion of work order. Performing other work as required. 1- 2 years of experience working in the on-road heavy equipment industry. Valid Class 3 Drivers License considered an asset. Self-starter with the ability to perform in a fast paced environment. Excellent attention to detail with a sense of urgency to meet tight deadlines. If you enjoy working in a fast-paced environment and enjoy a challenge, then this may be the opportunity for you. At Calmont, we believe in a healthy work-life balance and we are pleased to offer a competitive compensation package, along with a first class benefits package for the correct individual. 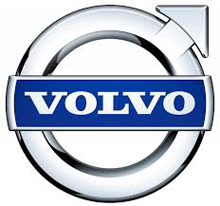 Calmont Truck Centre operates a Volvo Truck franchise providing the largest selection of top-of-the-line Volvo heavy-duty work vehicles, commercial trucks, fleet vehicles, work trucks, and company vehicles. We have locations in Edmonton, Calgary, and Lethbridge.